Springtime in Utah is like nowhere I’ve ever experienced. One day you’re hiking in the high country with eight-foot snow drifts on all sides, and then the next day you’re on a sun-baked trail overlooking a huge valley with mountains in all directions. This is the backdrop for one of the most fun hikes I’ve ever done. It started out early morning, as is often the case when I’m visiting my Utah friend Jeff. 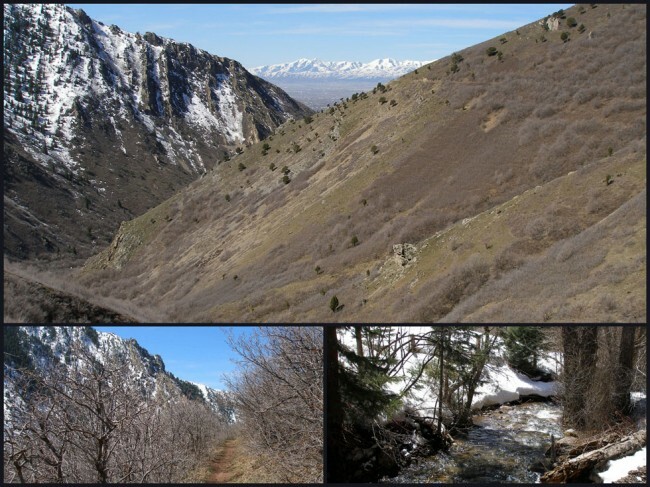 While on the way to work, he dropped me off at the Rattlesnake Gulch trailhead about a mile and a half up Millcreek Canyon, just outside Salt Lake City. 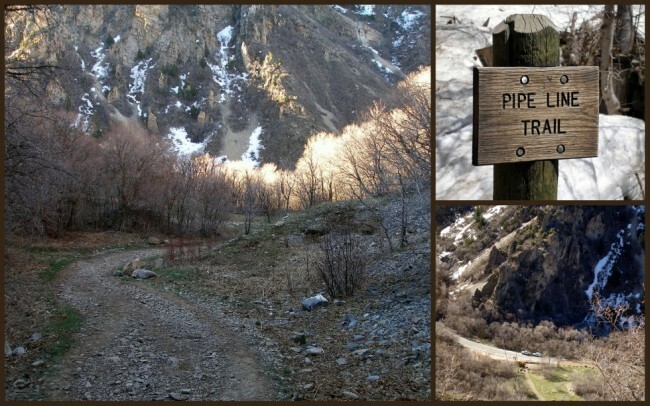 The day began with a moderate uphill climb to the Pipeline Trail. Shortly up the trail (probably no more than a half-mile) I came to a junction where I could go either direction. I elected to swing onto the left fork and head to an area simply called “the overlook”. This mile and a half easy walk kept me on the south slope of the canyon, traveling in the sun, back toward the city. At the overlook I was able to view across the lake and beyond to the Oquirrh Mountains. Because it was April, they were still covered with heavy snowfall. The scene was stunning by any definition. After taking a short break, I headed back the way I came and ventured onto the right-side fork I had encountered earlier on my way to the overlook. I continued, following what was left of the old water flume route that had previously run from the Elbow Fork intake to the old Mill Creek Power Station. Here and there I would move in and out of small stands of trees. There were countless varieties of plants starting to bloom for the season. One of the more interesting aspects of this hike was the contrast of the canyon walls. On the North Slope (the one opposite of mine) there was snow everywhere, that in contrast to the south slope which was almost totally clear. One amazing aspect of this hike was the number of people I encountered on the trail, not hiking but ridge running! 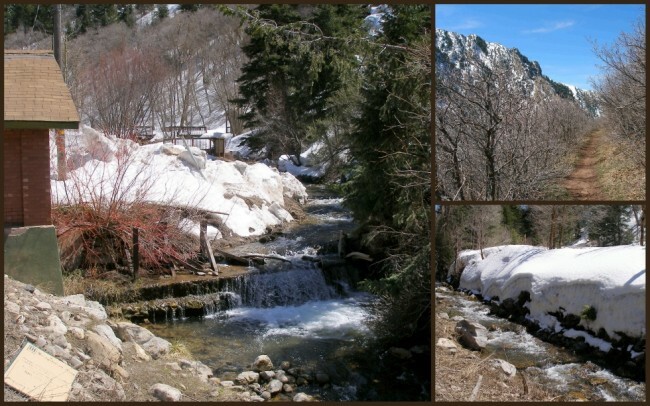 What astounded me about this was that there were still many areas of the trail covered in ice and snow, talk about gutsy. As I approached my original destination (Elbow Fork) it became apparent that trail conditions were going to be too difficult to continue with the time I had available. 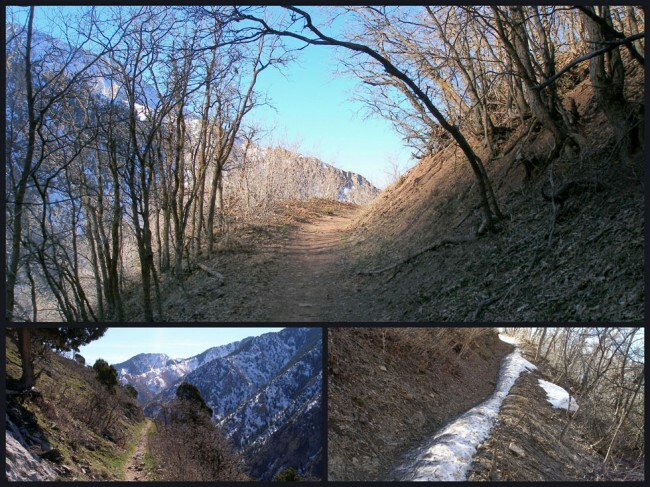 I decided to take the Burch Hollow spur back down to the highway to rendezvous with Jeff as pre-determined. I was very glad that I had chosen this trail on this day as a winter storm blew in the following day, dumping several inches of snow back onto the trails. 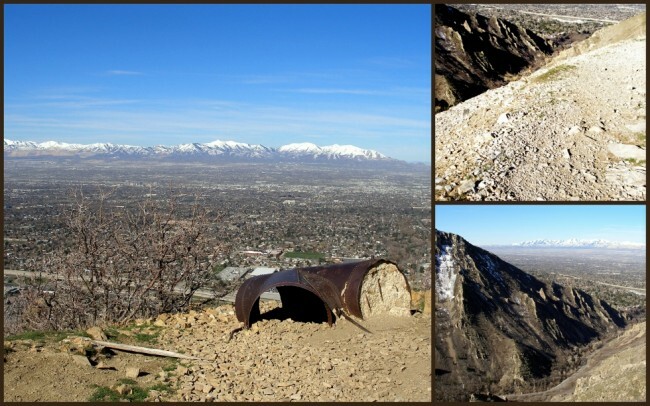 If you decide to try this hike you’ll want to get the Mt. Aire USGS topo map. Also be advised that this trail is heavily used by dog owners and mountain bikers. 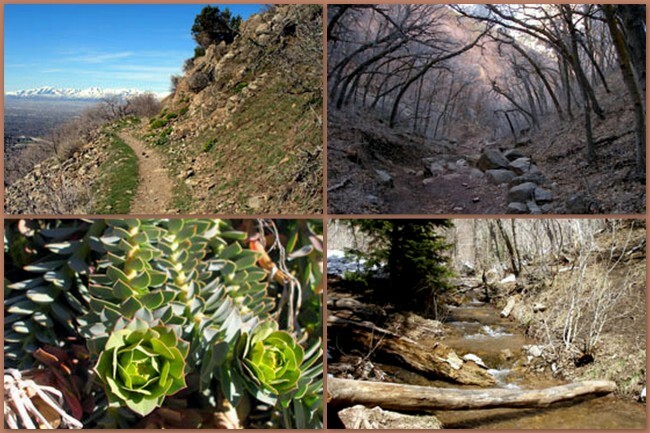 You can get more information on this area from the Salt Lake Ranger District of the Wasatch-Cache National Forest. Their phone number is (801) 733-2660. You can also check it out on the internet at www.fs.fed.us./r4/wcnf.